Our client is looking for 2-4 people for a water meter change out project starting in March and should be finished by the end of May. The primary function of the needed workers will be digging and working with assigned personnel with the operation of a trailer mounted hydro excavator, removing old and setting new water meters, paper work, hand digging meter cans, setting new meter cans and backfilling. Outside work experience, plumbing, irrigation, landscaping, mechanical, heavy equipment operation, digging with shovel and any sort of water operations or waste water operation will be considered. Holly Lewis is a senior recruiter at HKA Enterprises with 7 years of experience in the industry. 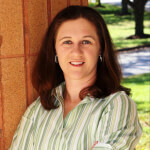 Holly specializes in the placement of employees in the water/watewater industry. Her advice for job seekers is to always setup voicemail and remember to check it regularly. Holly prefers to be contacted via email or phone.